It’s proven: children who are exposed to books, language, nursery rhymes, and conversation as infants and toddlers, are better prepared for school. The only question is how to ensure that exposure takes place. 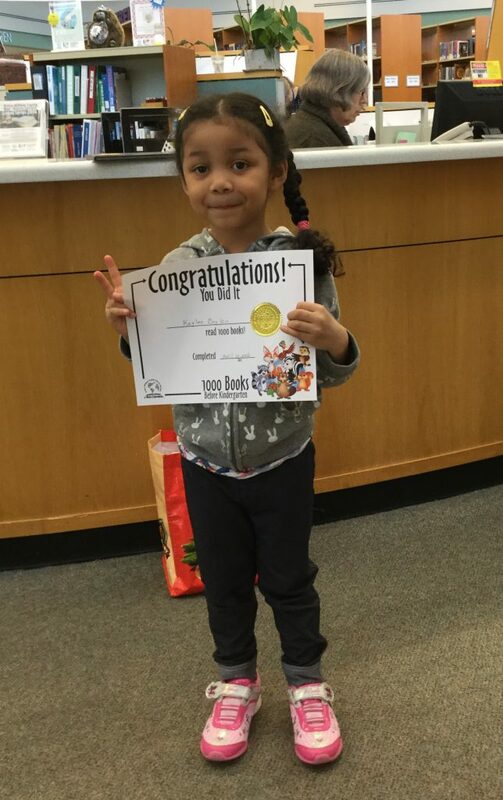 Prince William Public Library in Virginia, is doing a lion’s share of the work toward getting kids up to scratch with their pre-literacy skills through its 1000 Books Before Kindergarten program. 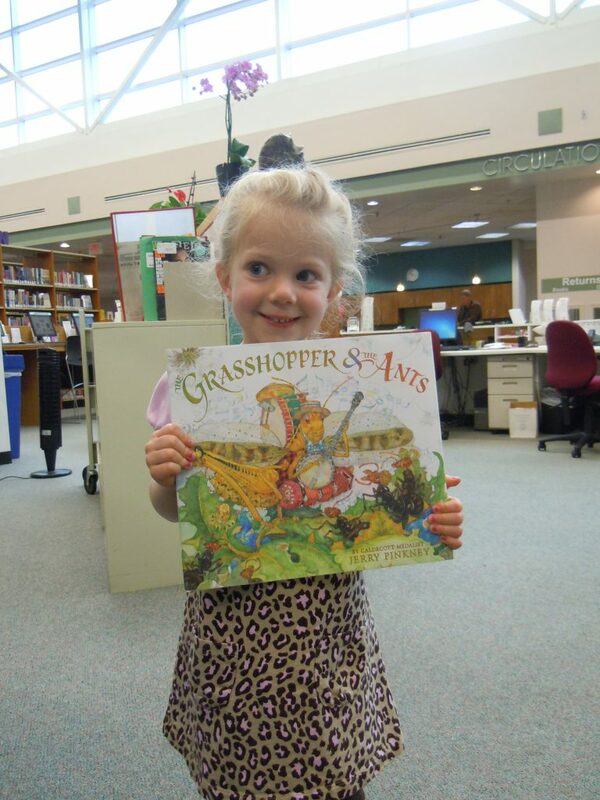 Kars4Kids: When did you institute your 1000 Books Before Kindergarten program? Do you have measurable results in academic achievements? Tracy McPeck: We launched 1,000 Books before Kindergarten in April 2015. In just under three years, we have had 4,180 children register for the program, reading 754,300 books. 349 children have completed the program so far. Kars4Kids: Tell us about the community you serve in Prince William. 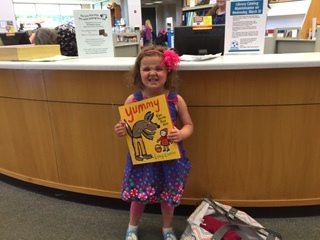 Why is there a need for the 1000 Books Before Kindergarten program in Prince William County? Tracy McPeck: The greater Prince William community, which also comprises the cities of Manassas and Manassas Park, is over a half-million people strong and is socioeconomically very diverse. We saw a need for 1,000 Books before Kindergarten because we wanted to educate all parents/caregivers on the importance of early literacy practices linking to later success in school, and this program provides that opportunity for everyone. 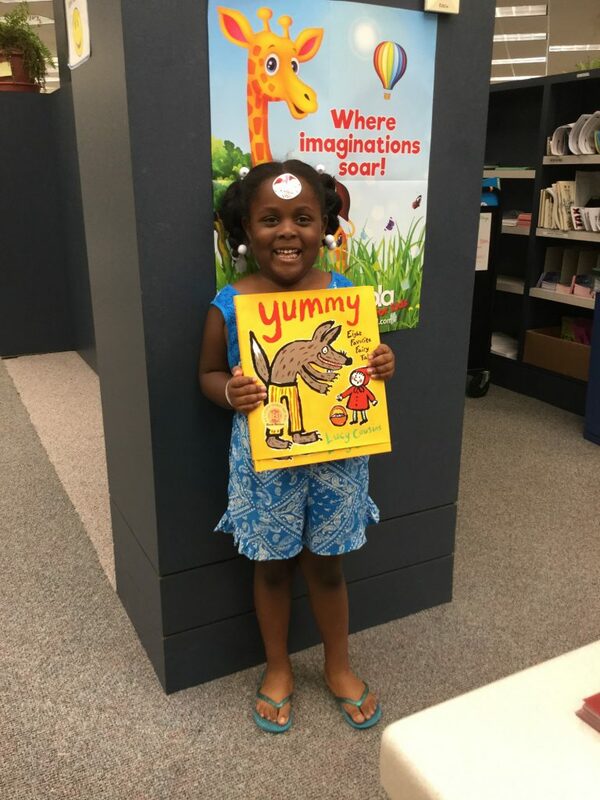 Kars4Kids: It’s great that kids can count the same book more than once in their total, as long as it’s been read to them. Has it been proven that it really doesn’t matter if it’s the same book or a new book, that being read to is all that counts? Tracy McPeck: Studies show that reading the same book many times to a preschooler helps them to learn new words, which means children benefit from a repeated story as much as they benefit from hearing a new book. 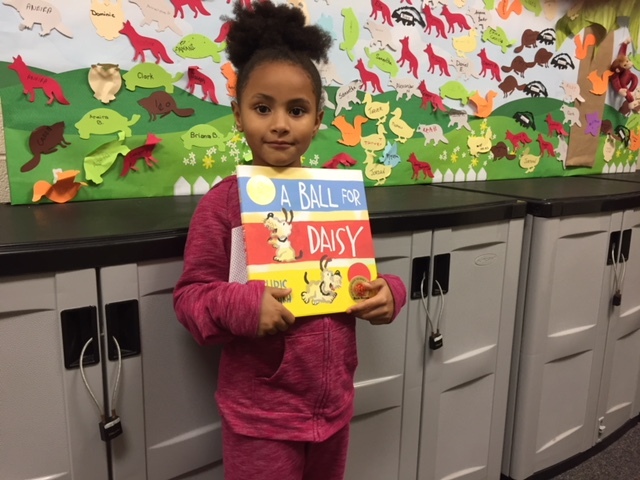 In addition, children whose caregivers read to them often, and are frequently exposed to other literacy experiences such as singing, rhyming, and even talking, have an edge when it comes to being ready to learn to read when they enter school. Engaging in early literacy activities at home helps prevent reading difficulties later in school and promotes positive attitudes towards reading. Kars4Kids: What kinds of rewards do you offer the participants in this program? Tracy McPeck: When children reach 300 books, they receive a special 1,000 Books before Kindergarten bookmark with a spot for a photo. At 600 books, they receive a literary rubber ducky. And when they “graduate,” children get to choose a brand-new hardcover book for their very own, as well as a certificate of completion. 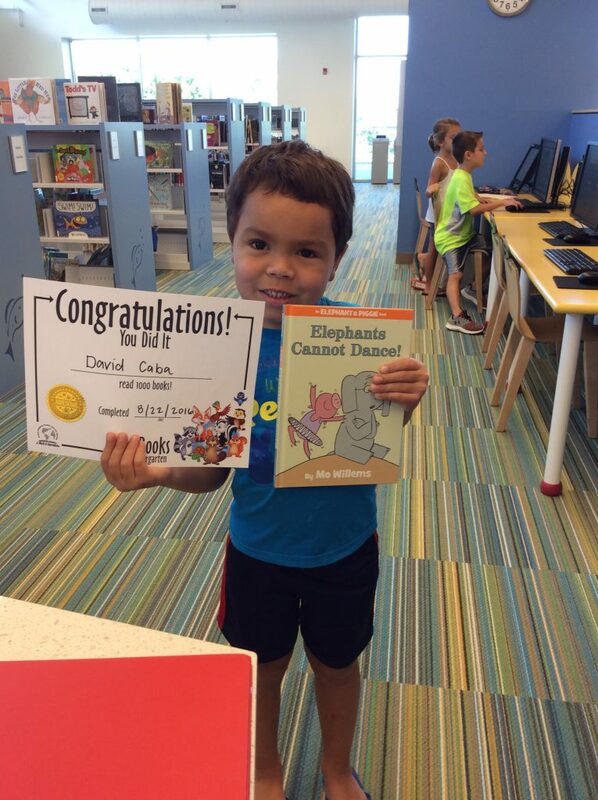 We also hold annual 1,000 Books before Kindergarten celebrations, and each library branch has a wall of recognition on which children can track their progress. Kars4Kids: How many parents are participating in this program? Tracy McPeck: Since the children are infants through preschoolers, parents/caregivers are responsible for registering their children. Except for perhaps a few day care centers, the majority of the 4,180 registrants should be parents/caregivers who have registered their children and are reading to them to complete the program. Kars4Kids: Whose idea was it to institute this program? What inspired its founding? Tracy McPeck: Our Youth Services Supervisors wanted to institute 1,000 Books before Kindergarten because they saw the need for a collective effort to encourage early literacy practices in our community. Other public libraries have successfully implemented 1,000 Books programs, which provided the inspiration. 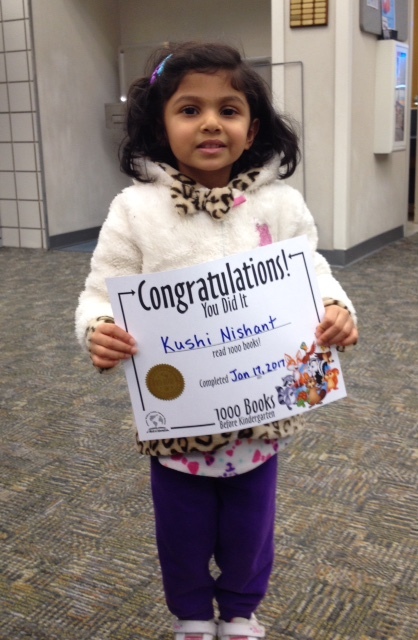 Kars4Kids: How have you managed to spread the word about your 1000 Books program? Tracy McPeck: We advertise 1,000 Books before Kindergarten in our quarterly print publication as well as print flyers that we distribute at library programs, to preschools and day cares, and at communitywide events. We work with local early literacy nonprofit Smart Beginnings Greater Prince William to promote 1,000 Books through their Books 4 Babies program for new parents. Tracy McPeck: Have you heard of the 30 million-word gap? A landmark study found that some kids heard 30 million fewer words by their fourth birthdays than others. The kids who heard more words were better prepared when they entered school, and by the time they got to third grade, had bigger vocabularies, were stronger readers, and got higher test scores. What does this mean? The kids who started out ahead, stayed ahead. The kids who started out behind, stayed behind. The good news is just 15 minutes of reading to a child per day is enough to make a difference. If parents/caregivers read 15 minutes a day, every day for five years, they’ll have read for 27, 525 minutes, or 456.25 hours! Kars4Kids: Can a child complete the program more than once? Tracy McPeck: While we certainly encourage parents to keep reading with their children after they finish 1,000 Books before Kindergarten, they are only able to register and complete the program once. Kars4Kids: Would you like to see other public libraries follow your example and institute similar programs? Have you reached out to other libraries in this regard? Tracy McPeck: Absolutely! 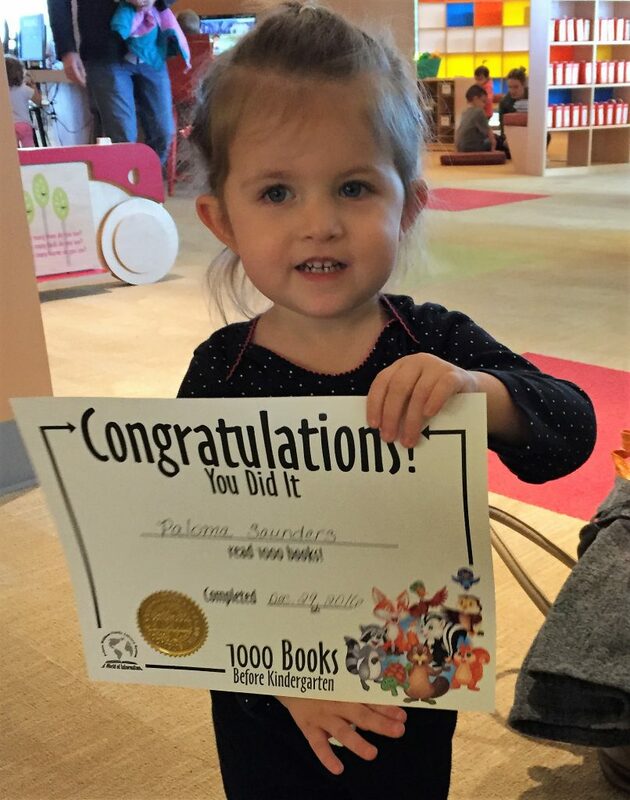 Quite a few libraries in the United States have implemented their own 1,000 Books before Kindergarten programs. We have provided some guidance to other library systems that have asked for information, and are always happy to share our knowledge and best practices.